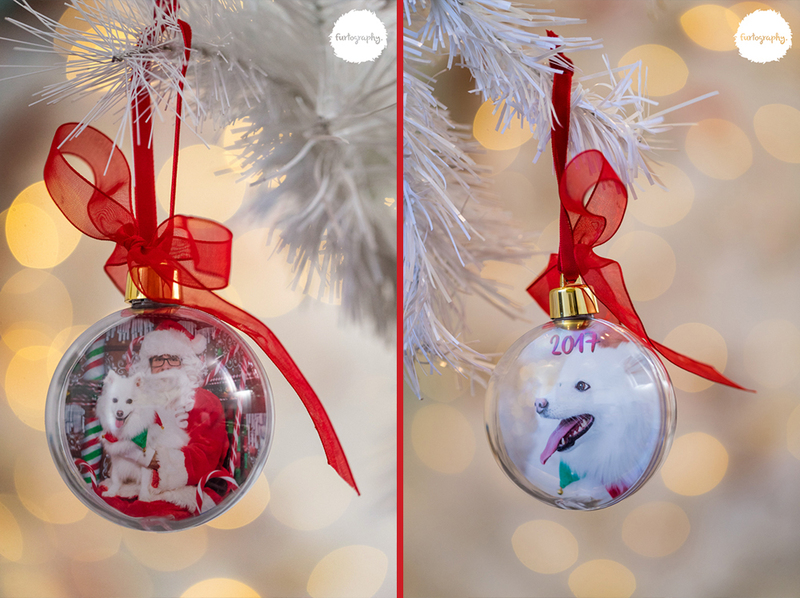 Pet photos with Santa 2018 now open for bookings! 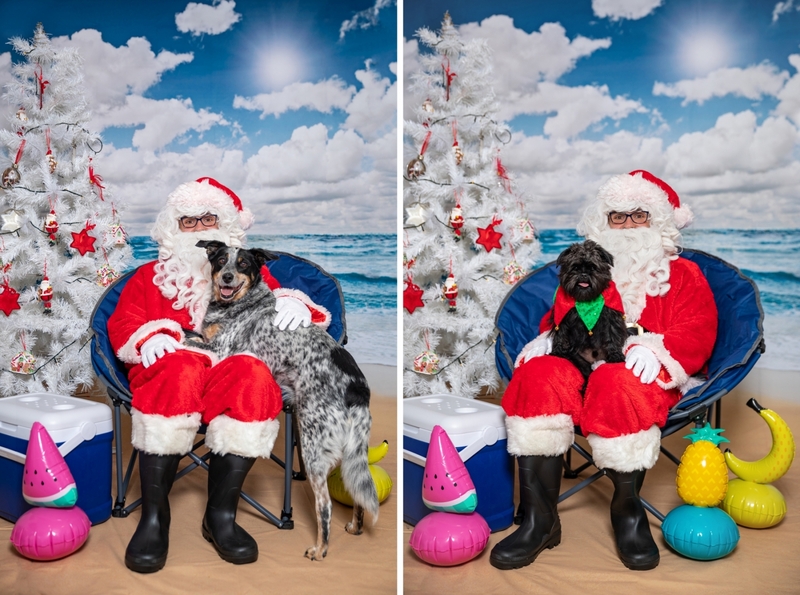 For the 7th annual Furtography Santa Paws Sessions, the man in red has requested a bit of down time with his favourite companions (well aside from reindeer and elves), dogs! So we’ve decided to hit the beach for a bit of Sand, Sea and Sun and we’d love you to join us for a real kiwi Christmas! 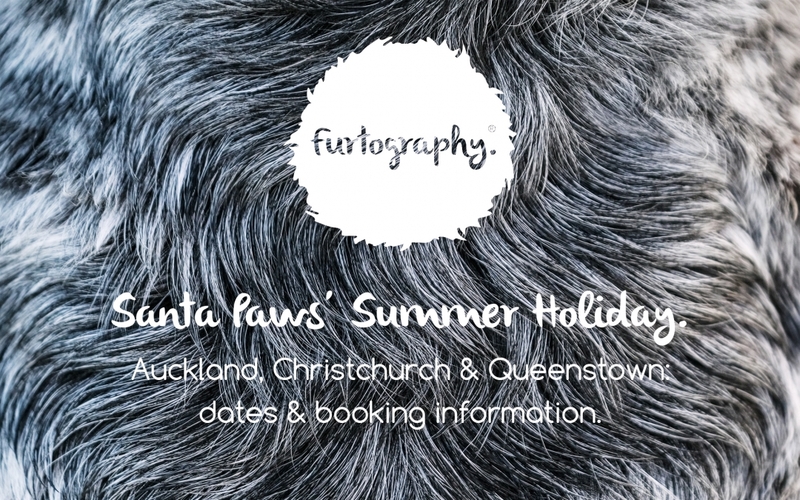 Santa Paws is looking forward to meeting furkids all around New Zealand and will be stopping in Auckland, Christchurch and Queenstown. As with previous years $5 from every package sold will be donated to charity. This year I am proud to support the Kotuku Foundation for Assistance Animals Aotearoa. The KFAAA train and place assistance animals with people who desperately need them all around New Zealand. It’s a charity I am absolutely thrilled to be an ambassador of and one that is making a huge difference to people’s lives every single day. Book now and receive a complimentary digital file perfect for sharing on social media! To book your session. Contact us using the links below with your package selection. Be sure to tell me your pets names and their type/breed. Each session takes approximately 15 minutes and all pets are welcome, any kind, any size, as long as they fit through the door! Dogs, cats, bunnies, pigs, ponies, reptiles or birds, you name it! If you have more than one pet, no problem, we’ll get a group shot of them together. $25 with any purchase, while stock lasts. I think that’s it, everything you need to know. If you have any questions please get in touch. Don’t forget to like my Facebook page or follow me on Instagram. Santa Paws and I can’t wait to see you! Please make sure you read the terms and conditions before booking. Want to know more about what a Santa Paws Session is like? If you just fill out this form, my assistant will get in touch tomorrow with times etc.